​Chatter Creek Holdings Ltd. is a British Columbia road construction / excavation company operating from the Golden area with extensive experience in the Kootenay Region of BC. We have completed projects in various locations from the west coast of BC to northern Alberta. 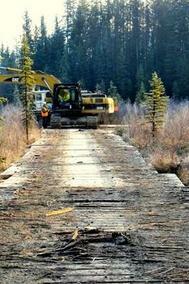 We offer the best in road and bridge building, land clearing, grading, trucking and low bed services. We take pride in each and every job by doing it safely and efficiently. Chatter Creek has a fleet of 21 pieces of heavy equipment and is always open to purchasing or leasing job-specific equipment. 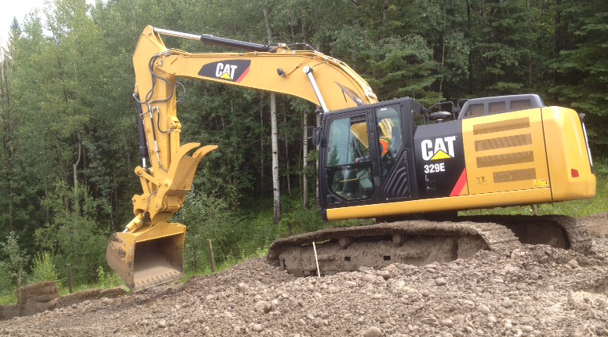 We have the necessary experience and equipment to successfully engage in road construction and maintenance, bridge construction and installation, site preparation, snow clearing and grading, log and material hauling, full low bed services, land clearing and logging in British Columbia. At Chatter Creek, we take pride in our ability to adjust to the changes that come from being in the industry. The owner is involved with each project. Through this engagement, the owner has hands on experience with updates in the industry whether economic, regulatory, safety or technologically. We have a full time mechanic on staff to ensure all our equipment is maintained and repaired at all times. Well maintained equipment means very little down time which benefits all customers. Call us today to discuss the many services we can provide. We look forward to working with you on your specific project.